A child safe nightlighs:Equipped with Self-Closing sliding outlet cover,It springs back to the closed position as soon as you remove the plug. No dust, moisture or finger gets in. 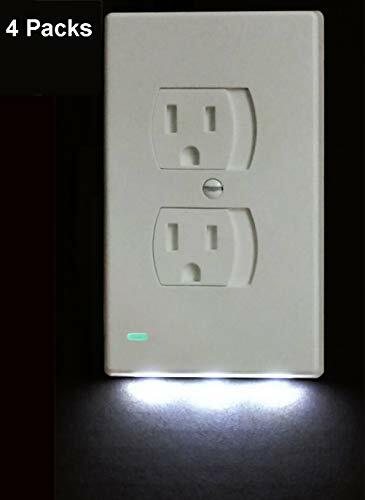 These covers over plugs not only for the convenience but also to avoid children choking on plugs they pry out or are accidentally left out after plugging something in.Also a Great nightlight for the bedroom, kitchen or hallway. NO require brackets, batteries, mounts, or wires. Not compatable with GFCI outlets. If you have any questions about this product by Warmword, contact us by completing and submitting the form below. If you are looking for a specif part number, please include it with your message.